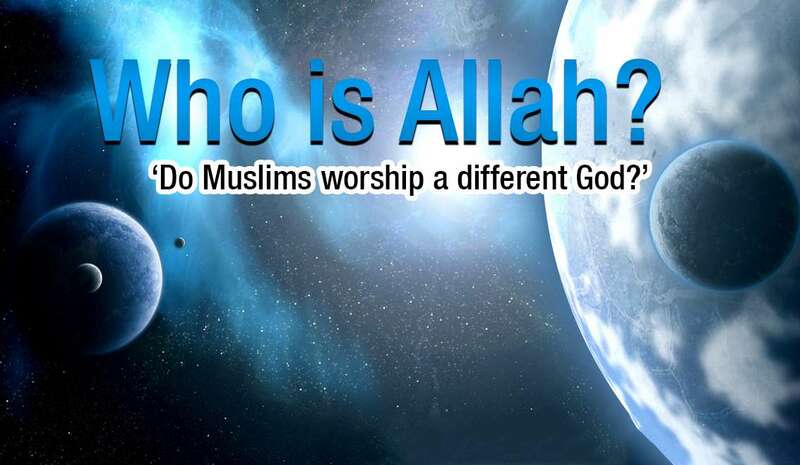 Some people believe that Muslims worship a God that is different from the one worshipped by Christians and Jews. This might be due to the fact that Muslims often refer to God as ‘Allah’. This concept is false, since ‘Allah’ is simply the Arabic word for the One true ‘Almighty, the Only One Worthy of Worship,’ Who created the universe and all humanity. Let there be no doubt – Muslims worship the God of Noah, Abraham, Moses, David, and Jesus عَـلَيْـهِمُ الـصَّلٰوة ُ وَالـسَّلَام. However, it is certainly true that Jews, Christians and Muslims all have different concepts of Almighty God. For example, Muslims – like Jews – reject the Christian belief of the Trinity and the Divine Incarnation. This, however, does not mean that each of these three religions worship a different God – because, as we have already said, there is only One True God. Judaism, Christianity and Islam all claim to be ‘Abrahamic Faiths.’ However, Islam teaches that other religions have, in one way or another, distorted and nullified a pure and proper belief in Almighty God by neglecting His true teachings and mixing them with man-made ideas.